Google has finally rolled out the first Developer Preview version of Android P. Here’s in this tutorial I will be working you through on how to install it on your compatible Pixel devices right now. Google has finally released the new Android P Developer Preview 1, and it comes well before expected. The new Android OS from Google comes with design tweaks, and enhancements to the overall interface. Security, camera API and user interface seem to be the key focus this time around. Android P also adds native support for ‘notch’ to allow OEMs embrace it on their smartphones. While the final update will be released sometime later this year, those who want to give the new OS a try can go ahead and install on their compatible smartphones. Currently, Android P Developer Preview 1 is compatible with the Google Pixel, Pixel XL, Pixel 2 and Pixel 2 XL devices only. This also means that the Nexus-branded devices will remain on Android 8.0 Oreo update. There is no word on support for other devices, but the ones that support Project Treble may be eligible for Android P Developer Preview in the future. Unlike previous years where you had to sign-up for the beta version and install the update via OTA, Google has changed the process this time around. 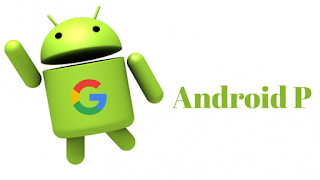 If you want to try out Android P Developer Preview 1 on your Pixel devices, you’ll have to download the factory images from Android Developers website, and manually flash the OS. Yes, it is a tedious process, and even if one step goes wrong, there are chances of bricking your device. So, we would advise extra caution. Now, connect your Pixel device to your Windows PC or laptop using the USB data cable, and you will be asked to allow USB Debugging. Just tap on check box, followed by Ok.
Next, head to Android Developer website here, and download the compatible factory image for your Pixel device. It will be a .ZIP file, just extract it and copy the contents in the ‘Minimal ADB and Fastboot’ folder that you earlier extracted on the desktop in Step Two. With the ‘Minimal ADB and Fastboot’ folder open, hold the ‘shift’ button on keyboard, right click and click on ‘open command window here.’ Now type adb devices and hit enter, and you should be able to see your smartphone under ‘connected devices.’ If the connected device is not showing up, you need to reinstall the driver. In the command window, type adb reboot bootloader and hit enter. (Alternatively, you can also switch off the device, and press and hold combination of — Volume Up + Volume Down + Power when the device boots). Type fastboot oem unlock and hit enter. On the screen, you will see a prompt asking if you want to unlock the bootloader, with yes or no option. Use the Volume + or Volume – buttons to select the options, and to select and continue, press the ‘power’ button. Now again reboot to the bootloader, and in the command window type flash-all and hit enter. The new OS will now be copied onto your Pixel device, it may show a few errors such as system.img not found and so on, but ignore that. Once the operating system is successfully installed, your device will reboot, and you will now have the new Android P Developer Preview 1 if you’ve done everything right. Disclaimer: As Android P Developer Preview 1 is a beta build, and meant for developers, it is likely to have bugs. Do not install this on a phone that you use as your daily driver. Also, flashing factory images incorrectly could potentially brick your device. Proceed at your own risk. ← Apple working on iPad upgrade with Face ID.